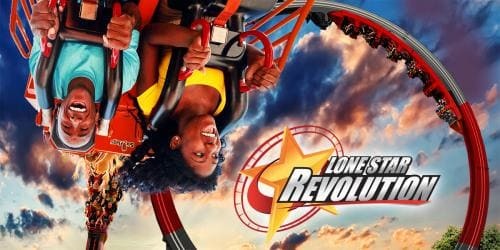 Six Flags Over Texas, the Thrill Capital of Texas, announces the opening of an exhilarating and hair-raising new ride — Lone Star Revolution. This world’s largest loop coaster takes riders forward and backward on a gigantic loop before suspending them completely upside down for plenty of adrenalin-pumping hang-time. Lone Star Revolution will be located in the Tower section of the park and will make its debut in late spring 2019. 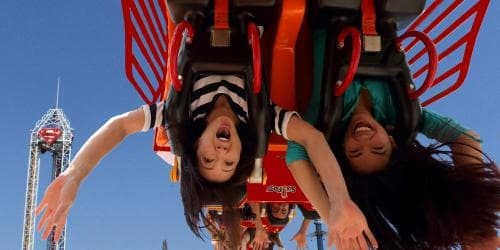 Towering at 100 feet tall, Lone Star Revolution will send riders soaring in a pendulum style motion before propelling them head over heels where they will experience some insane, inverted hang-time both forward and backward.